Independent Liberal Party (ILP) interim leader and ex-FIFA vice president Jack Warner sued me for substantial damages, a retraction and public apology as well as legal costs but he ended up offering an apology instead, via a legal document lodged in the High Court. Here is second and final part of our series into the real story of Jack Warner, William McCormick QC, Om Lalla and Dereck Balliram versus Lasana Liburd, journalist and Wired868 managing director. Jack Warner’s instructing attorney, Dereck Balliram, had insisted for months that any settlement between both parties in our libel suit would not be for publication and a private matter. I never believed him; and I was right to be skeptical. I had barely left Port of Spain, after Justice Rajkumar accepted Warner’s withdrawal of his lawsuit on 8 October 2013, when my phone started ringing with media inquiries. Photo: Ex-FIFA vice-president Jack Warner (right) and his son Daryan politely respond to a question from then Express reporter Lasana Liburd on the Simpaul Travel World Cup ticket scandal. Ironically, as a former employee, I gave Express some of its best work on Warner. 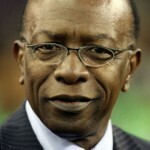 Seven years ago, my exposé on Jack Warner’s diversion of Trinidad and Tobago’s 2006 World Cup tickets into Simpaul Travel, his family-owned business, led to the then FIFA vice-president being the first FIFA Executive Committee member to ever be found guilty of breaching its Code of Ethics. The US-based Fox Soccer television programme decreed that it was the best World Cup story of the year; even before a ball was kicked in the Germany tournament. 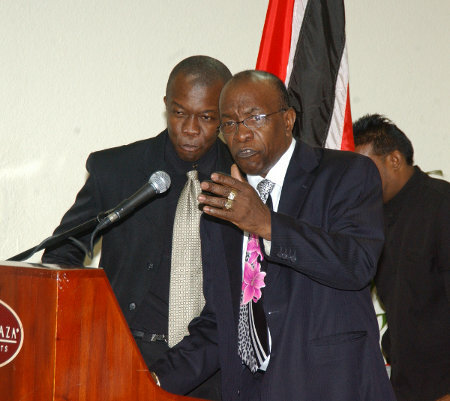 Warner had been upset by my probing into Trinidad and Tobago Football Federation (TTFF) affairs from long before then. But he was so incensed at the Simpaul Ticket scandal, which ruined his chance of a national award, that he promised to crush me and even mentioned the article on his From Zero to Hero autobiography. Photo: The “Soca Warriors” received national chaconia silver medals for qualifying for the 2006 World Cup. But Warner missed his chance for an award after the Simpaul Ticket scandal. Warner would later be blamed for cheating the players of their bonuses. His chance to ruin me finally came in 2013. All Warner had to do was step into the Port of Spain High Court, endure cross-examination and the re-hashing of his handling of $4.76 million in aid money meant for Haiti, hope that I could not prove he took the money himself and then convince the judge to award him a hefty settlement that I could not manage. I was so confident that the former football administrator and current Independent Liberal Party (ILP) interim leader could not pull it off that I gambled everything I had on the libel case. I decided to represent myself in court. I had discussed the legal matter with family and friends, including British investigative journalist Andrew Jennings. Jennings and I agreed that Warner probably sued because I was now an independent publisher and lacked the financial means to stand up to him. Worse, how could I be certain that Warner was fighting me with his own money when his advocate attorney, Om Lalla, had allegedly just benefitted from a $5 million NIDCO contract? By representing myself and refusing to spend a cent on the case, I would use my perceived disadvantage as an asset. If Warner’s aim was to bury me in debt then, as long as I did not spend my money or anyone else’s on the case, he could not win. Jennings, who has a flair for the dramatics himself, suggested that I pedal to the Court of Justice on a bicycle and offer it to Warner if I lost. He never quite convinced me of that line of action. Photo: British investigative journalist Andrew Jennings. It was not a flippant decision though. The cost of running Wired868 meant I had exhausted my personal resources long ago. If Justice Rajkumar so much as ordered me to pay Warner’s legal costs, the site would be finished. And there would be little chance of returns on the investments of my mother, Yolanda, sisters, Soyini and Sekayi, my girlfriend Lou-Ann, and her sister, Antoinette, who all helped Wired868 to get off the ground. I have a three-year-old daughter with Lou-Ann who also has two daughters from a previous relationship. Who knew what the impact of a legal defeat would be on our young family. Balliram erupted into laughter when he was notified that I would represent myself in court and, as I walked away from KR Lalla and Company, I wondered if I might indeed have a fool for a client. But I stood firm and believed in my strategy. My former lawyer’s secretary, Stacy Castillo, was a regular, reliable source of legal tips as I secured an extension from the court and then filed witness statements for myself and British investigative reporter James Corbett, who had made the breakthrough in the Haiti aid story for the UK Times. 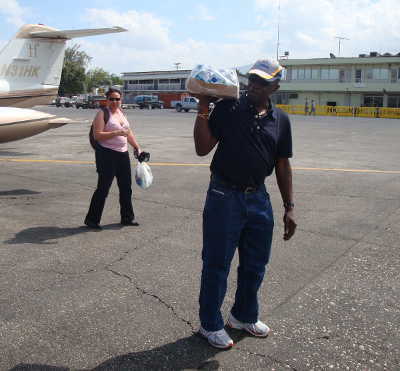 Photo: Chaguanas West MP and ex-FIFA vice-president Jack Warner delivered water, but little else, to Haiti. If Justice Rajkumar decided that I was guilty of libel, then the real fun would start as both parties would then have to put forward a case to help determine the value of Warner’s reputation. I had a list of close to a dozen international investigative journalists and sport transparency officials who were happy to testify in a Trinidad and Tobago courtroom on my work and Warner’s character. Apart from Great Britain’s Jennings and Corbett, there were Jesse Fink (Australia), Jens Weinrich (Germany), David Larkin (United States) and Jens Sejer Anderson (Denmark). A part of me wished Warner did win the libel case. 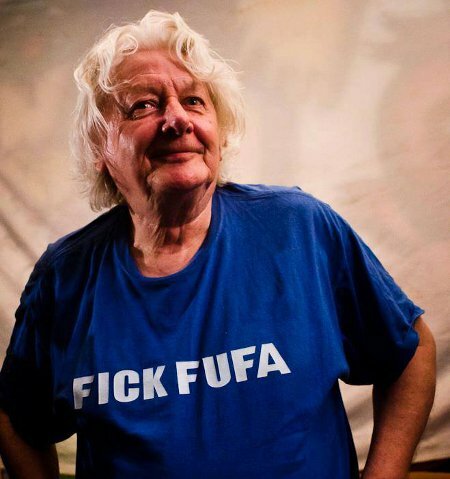 Two weeks before our court date on 8 October 2013, Balliram called. Warner, he said, had nothing personal against me and a court battle would be a waste of everyone’s time. So, could we settle? 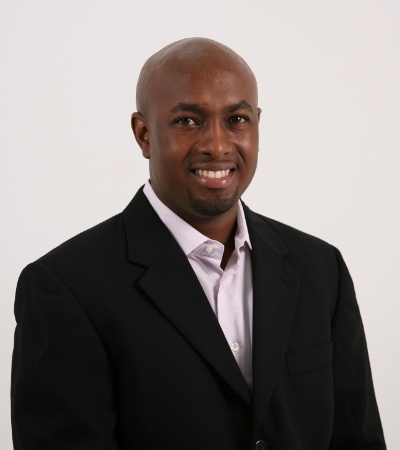 Photo: Wired868 managing director Lasana Liburd. Balliram offered to accept the same statement his law firm was offered previously and which it had dismissed as a repeat of the libel. I refused and demanded a further concession. It was a hectic period for me and I had just worked for two straight weeks on the Pro League and CONCACAF Champions League while the “Soca Warriors” were looking towards an international friendly against New Zealand and the local political scene was providing regular fodder for our Wired868’s satirical section. Before our court date, Trinidad and Tobago defender Akeem Adams also suffered a heart attack in Hungary. 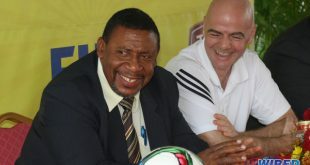 As happy as I was to face the ex-FIFA vice-president in court, I knew the site would suffer for content while I turned my attentions to the legal proceedings; it would be reckless, I felt, to turn down an acceptable settlement if one were forthcoming. 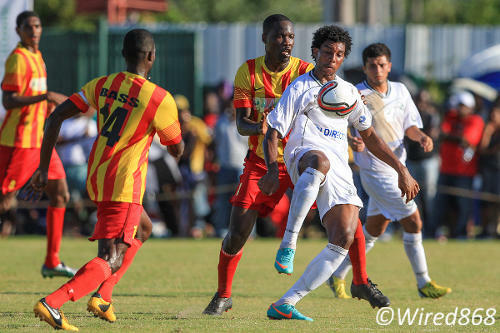 Photo: W Connection forward Juma Clarence holds off Point Fortin Civic defender Lyndon Diaz (centre) while teammate Bevon Bass (left) runs in to help. Wired868 is the best source for news on the local Pro League. But I stood by my work and only conceded that I should have mentioned the source of my information in the tweet. There was no question about the validity of my story or the tweet. I felt that was a victory—or close enough to one. On retrospect, I celebrated prematurely. The fact that Balliram gave me his word did not mean he would stick to it. It was Balliram rather than his secretary who greeted me at the door on my next visit to KR Lalla and Company. He ushered me into a conference room and brought me a statement to sign. It was one I had rejected months ago. He stepped outside and, within seconds, was back with what seemed to be the right statement. I read what was encased in quotation marks and agreed that this was the correct version. I had not brought the statement Balliram and I agreed to before, since I naively thought our negotiations had concluded a week earlier. The attorney slipped the word “allegation” into those quotation marks and it went undetected. But that was not the biggest surprise. Distracted and annoyed, I did not pay sufficient attention to the accompanying text that preceded the statement. 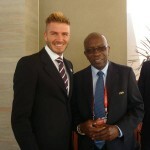 If Balliram had tricked me, there was little benefit to his client; because the claimant was Jack Warner. Unknown to me, I received an apology from Warner, courtesy of his attorney, which is now filed in the High Court! Photo: Chaguanas West MP and interim ILP leader Jack Warner. But that was not how the Express reported it. Balliram supposedly described it as a typo and Express, a supposed bastion of fearless, accurate journalism, reported what Warner’s lawyer told the paper without so much as a phone call to me or the High Court. How could anyone, let alone a responsible media house, change the wording of a filed legal document without authorisation from the court? If Balliram felt there was an error, was he not duty-bound to get me back in the office and persuade me to reverse it? If the Express felt there was an error, was its reporter not duty-bound to check the High Court and myself? I made my position clear to Express news editor Curtis Rampersad and editor-in-chief Omatie Lyder, who is also assistant secretary of the Media Association of Trinidad and Tobago (MATT). Neither could explain why the Express carried the story in the manner which it did; and yet neither saw to it that a retraction or correction was done. MATT, as ever, was silent and noncommittal on the matter. During the libel case, the Austria-based International Press Institute (IPI) contacted me and wrote on the issue while journalists from all over the world offered support. MATT never made so much as a single media release on my behalf. But if nothing else this adventure has taught me to pay little heed to the size, wealth or growl of a would-be bully. 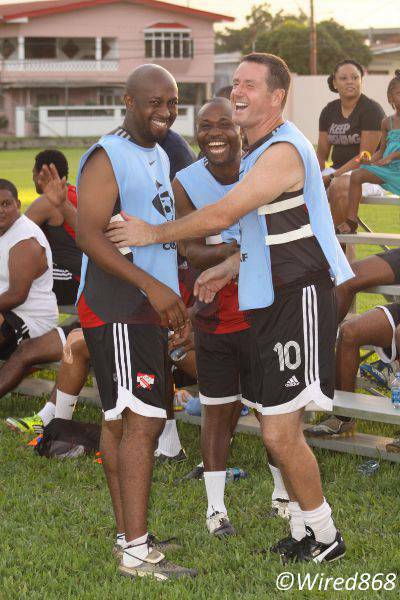 Photo: Wired868 managing director Lasana Liburd (far left) has a laugh with Central FC coach and ex-England World Cup defender Terry Fenwick (far right) during the Wired868 Football Festival. Truth is its own defence. And he who has it on his side will have the last laugh. Wired868 aims to be clever, brave and relentless; and we believe we are stronger than ever. 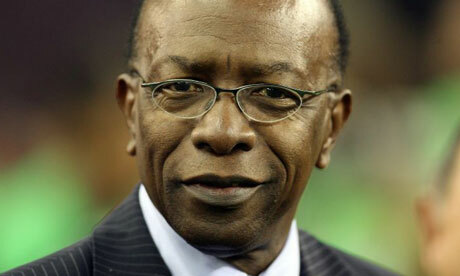 Editor’s Note: Click here to read Part One of Jack Warner’s Haitian aid lawsuit. Libel suit documents: Legal Statements, Libel Suit Timeline and Witness Statements. 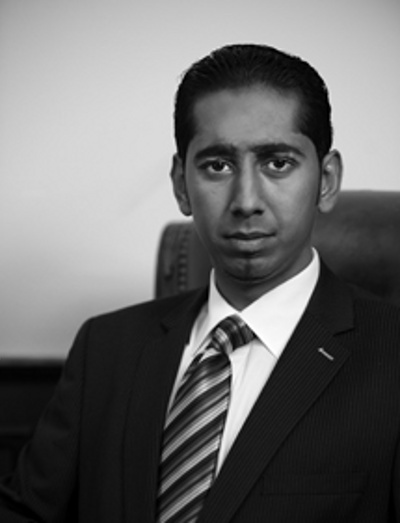 On a separate note, I just cannot look at Balliram’s picture without steupsing very loudly. A truly fascinating report. Never surprised by Jack but was still in shock. His lawyers, well, they are called ambulance chasers for a reason. As far as “journalists” and MATT goes, it would be naive to think that there isn’t puppet strings being pulled. Has always been the case. And such is the land that we live in. Your next headline can be: Claimant apologised and Express reports otherwise. But seriously, the Express is showing clearly why I am justified in not wasting my $2 everyday on it and it is sad that MATT could not support your pursuit of truth even if only verbally. The Express and MATT have failed to show any degree of integrity, and you probably should have asked for compensation for the money and time you lost paying attention to Jack’s frivolous suit. I wonder if this is really the end of frivolous suits on Jack’s part….how long will he continue to waste your time even though he has no legal leg to stand on. Jack Warner does not have a great record for servicing his debts and, considering my ignorance of law, I felt it might be too time consuming and possibly frustrating to chase costs. So I waived that. I don’t even know what to say about the response from Express and MATT… So I will just leave that one alone for now.